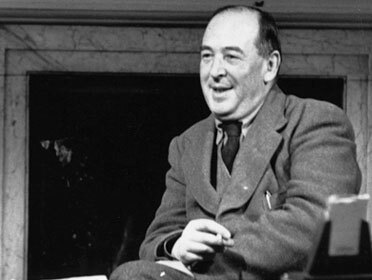 My childhood heros were CS Lewis and JRR Tolkien. I wanted to be them when I grew up. I am aware that this is perhaps a little unusual! I fell in love with The Chronicles of Narnia from the moment I saw Lucy pull aside fur coats to reveal snow-covered fir trees in the 1988 BBC TV series and my love for these books goes beyond obsession and into something else. I once won a prize at school for a poem which heavily featured the line 'Once a King or Queen in Narnia, always a King or Queen' (I can't remember the rest of it now - goodness knows where it is...). Although I'm religious, I was actually really annoyed when I asked Mum what Aslan's name was in our world and she told me. As far as I was concerned, Jesus was a person and Aslan was a lion and Narnia was a series of exciting stories that should have nothing to do with church. As an adult, I have both a greater appreciation of the various spiritual themes in the books, and an ongoing frustration with the more in-your-face bits of evangelism, that seem to spoil the books for so many non-religious readers when they get old enough to understand them. I'm also a fan of Lewis' other work, especially The Screwtape Letters, and one of these days I will get around to reading the Out of the Silent Planet trilogy. Since Tolkien was unkind enough hardly ever to use Classics in his work, I'll throw any posts that manage to squeeze him in onto this page as well! The Domestication of Classical Mythology in the Chronicles of Narnia (academic paper on Classical myth in the series in general). thanks a lot ya pa specifications price honda cbr admin has given this home and design good news.